Lock in a great price for Morganti – rated 9 by recent guests! Located in Torano Nuovo, Morganti provides accommodations with free WiFi and a garden with a terrace and mountain views. San Benedetto del Tronto is 16 miles from the bed and breakfast, while Ascoli Piceno is 15 miles from the property. 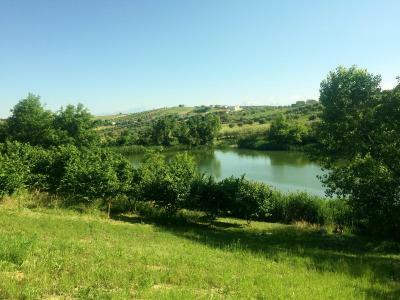 The nearest airport is Abruzzo Airport, 53 miles from the property. When would you like to stay at Morganti? This twin/double room features a private entrance, barbecue and toaster. This quadruple room features a barbecue, dining area and private entrance. This double room features a barbecue, microwave and private entrance. Set in a barrel, this room comes with a private bathroom. House Rules Morganti takes special requests – add in the next step! Please inform Morganti of your expected arrival time in advance. You can use the Special Requests box when booking, or contact the property directly using the contact details in your confirmation.